Professor Hunicke joined UCSC in 2014 to develop and promote undergraduate and graduate education that explores games as a medium of critical, social and expressive artistic practice. This mission informs her teaching within DANM, her work in Games & Playable media BA and BS programs, and her research within the Ludo Lab ​Center for Games, Play & Social Practice​. Her most cited academic work is the MDA framework for deconstructing game design, which informs her teaching, research and profesisonal work on the award-winning PlayStation title Journey, as well as Boom Blox, MySims, and TheSims 2. 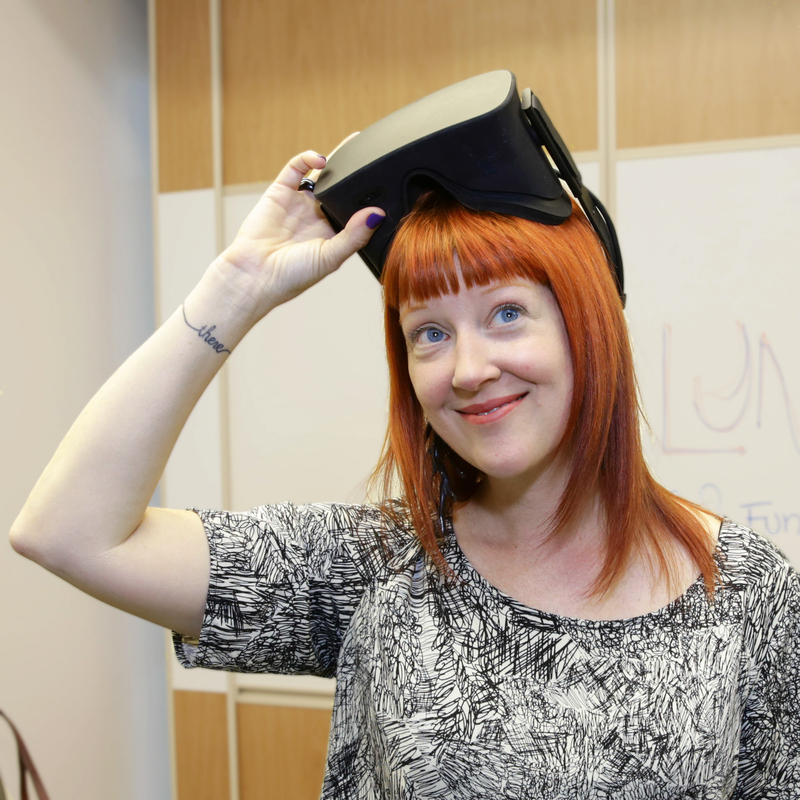 She is currently developing three projects at her independent game studio Funomena: the PC/VR puzzle game & creativity experience Luna, Google’s Project Tango AR Project Woorld, and the whimsical console game Wattam. As an active evangelist for diversity of thought and participation in arts and games, Robin ​co-organizes the annual Experimental Gameplay Workshop, sits on ​the PlaySFMOMA​, FDG​ & ​VR​DC advisory boards​, and​ volunteer​s ​in support of a variety ​of causes - including the ​original ​Indie Game Jam, ​Global Game Jam, GDC Game Design Workshop, IGDA Education SIG, Lexus Design Award, Girls Make Games, Anita Borg Foundation,​ ​Google Made with Code​, HEVGA​ and ​the ​​CS For Al​l​initiative. Experimental & user-centered game design, games & learning, games & social impact, building sustainable & deliberately developmental creative cultures, supporting diversity & innovation for Arts entrepreneurship.